Dominic Moore didn’t just see a dramatic change in the Pittsburgh Penguins last season – he experienced it. That’s why he was elated to find out he was traded to Pittsburgh on Wednesday. As a rookie with the New York Rangers, Moore was on the ice as the Penguins rolled to a 5-3 win in the season-ending contest between the two teams. He saw dramatic improvement in the other eight games the two squads played in 2005-06 as well. Moore, who was traded from New York to Nashville before the Predators sent Moore and Libor Pivko to the Penguins for a 2007 third-round draft choice, is a 6-foot, 195-pound center. The Thornhill, Ontario, native is yet another talented youngster on the Penguins roster. He turns 26 on Aug. 3. He believes the team’s youth will be a positive team attribute. Moore will see some familiar faces in Penguins training camp. A Harvard product, Moore played college hockey with Penguins defenseman prospects Noah Welch and Ryan Lannon. The three played on the same Crimson squads in 2001-02 and 2002-03. Moore, who majored in sociology, had the chance to skate with his two older brothers, Mark and Steve, while at Harvard. All three suited up for the Crimson during the 1999-00 season. Coincidentally, Mark Moore was drafted by the Penguins in 1997 and spent part of the 2000-01 season with the Wilkes-Barre/Scranton Baby Penguins. Steve Moore was drafted by Colorado and spent parts of three seasons with the Avalanche before he was severely injured by Todd Bertuzzi’s much-publicized hit from behind on March 8, 2004. Steve suffered three fractured vertebrae, nerve damage, a concussion and facial cuts from the hit. 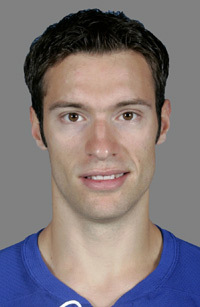 Nevertheless, Dominic Moore looks forward to bringing his gritty, solid two-way game to the Penguins. “I strive to be as complete a two-way player as I can be. Hopefully, I am able to make plays at both ends of the rink,” he said. 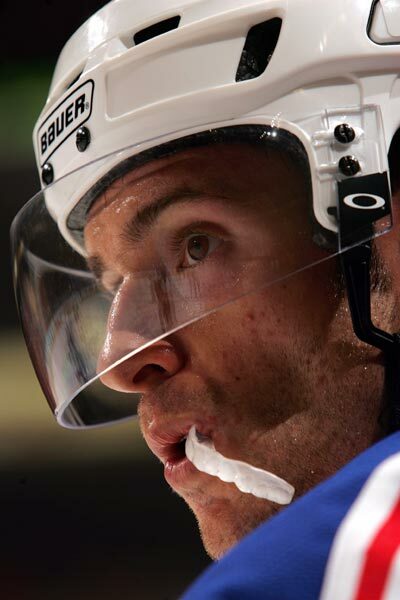 He had nine goals and nine assists in 82 games with the Rangers last year. “Last year, I played more of a defensive role – killing penalties and checking other teams’ strong lines,” he said. “Those are some of my strengths, but I feel I can contribute in other ways as well.